Mini Carabiner Keychain 39¢ with Custom Engraving at Wholesale-Carabiners.com! Here's what is commonly referred to as the "Mini-Carabiner". It's 60mm wide, so about 2.4", and is precisely laser engraved by us with your message and / or logo — and ready in 3 days! The venerable "Mini" makes a great promotional item showing your custom logo, and we also have the widest range of colors, all at low wholesale pricing to boot. 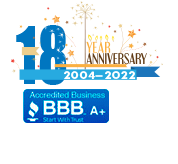 Carabiner Keychain seekers will appreciate that we offer "Level Best" Carabiner Keychains™ — carabiners that have an added step in the manufacturing process to make the engraving area level and flat, at no additional cost. The level engraving area protects your promotional investment from wear and damage as most items that contact the carabiner will do so on the edges as opposed to the level area where your engraving is. One side engraving is included, and reverse side engraving is just .15 per item. Great to promote your company name or logo on one side of your carabiner keychain, and advertising your Web address on the other. 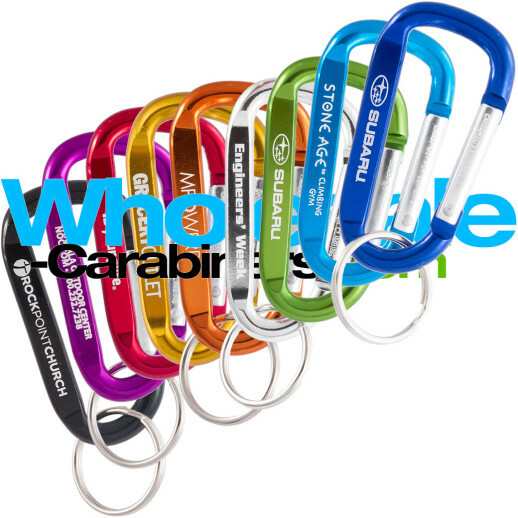 U.S. lab certified lead-free — our carabiner keychains are 1st quality — providing a safe, tough, rich bright color and finish, and they are permanently and crisply fiber laser engraved at no extra charge, as opposed to silk screened which is prone to flaking. Engraving area: 1.35" x .175"